In Fremont and the surrounding Lincoln and Omaha areas, you have access to a wide range of destinations, events, and entertainment, year round. And when it comes to cleaning your home, you have access to a multi-faceted cleaning team year round with Full Throttle Cleaning & Restoration. Any type of loss is emotional and it takes experience and professionalism to handle the aftermath of accident or crime scenes. 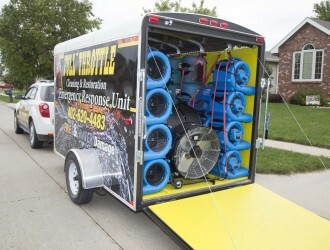 We have extensive experience in disaster cleanup after emergencies caused by smoke, broken pipes, overflowing toilets and a host of other unforeseen mishap. A clean home is a happy home. Our professional cleaning staff can do various levels of cleaning around the house or office. Call us to find out more. 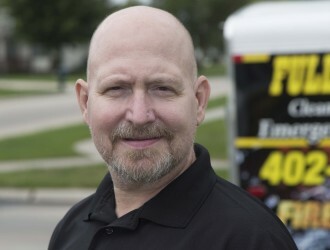 Full Throttle Cleaning & Restoration in Fremont, NE is an honest and upfront company. Everything we do is under agreement before we start so there are no surprises in store for you. We travel to Omaha, Fremont, Lincoln, Gretna, Elkhorn, Wahoo or Blair — we’ll be there. Plus, we guarantee 24/7 emergency services. Whether you need to repair you entire home after a fire or you just need your office cleaned — we’ll the job done right. Full Throttle Cleaning & Restoration in Fremont, NE takes pride in the commitment to professionalism and quality service. It is our priority to ensure the employees and contractors we bring into your homes are people we’d trust in our homes. Consider our locally owned and operated business your one-call solution to all your cleaning and restoration needs. Consider our locally owned and operated business your one-call solution to all your cleaning and restoration needs. If the spot comes back, so do we! Our employees are certified, trained professionals who have the skill and expertise necessary to tackle even the toughest of jobs. If you’re not satisfied with the end result, let us know and we’ll come back and fix it! 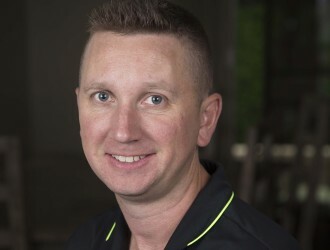 Gabe Mackey, owner of Full Throttle Cleaning & Restoration, grew up in a Service Master family. After having been involved in the cleaning industry his entire life, he decided to open his own business. Outside of his business, Gabe has a wife and child, and loves to spend time outdoors with his family. ​upholstery cleaning, ​hard floor care, or vehicle detailing!